It takes about four hours to play an 18-hole round of golf. That’s a lot of time out under the sun. Do this a few times a week and your skin is exposed to hours of damaging UV rays. Multiply this by a just a few years of golf and your skin can suffer irreparable damage. It might not show up while you are still young, but rest assured by the time you hit your mid forties, that sun damage will show in the way of pre-mature wrinkles and age spots. 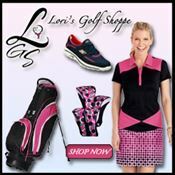 If you play golf, you have no choice but to be outdoors in the sunshine. How do you protect your skin from damaging UV rays? Wear a hat. This first solution is so obvious but often overlooked. 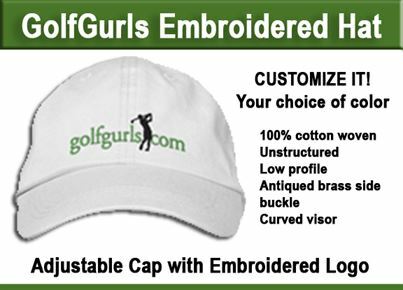 Many women golfers prefer to play without a hat, or sun visor. But it is one very quick and inexpensive option. Wear sunblock. The higher the SPF number the better. Here is a link to the Skin Cancer Foundation which is filled with relevant information and advise on which are the best products to meet your individual need. There’s a right and wrong way to apply sunblock. Here’s some great advice to help you get it right. Use an UV Protection Golf Umbrella and attach it to your golf cart. There are several on the market. One of the best is form UV-Blocker.Click here to view more details. Be smart and safe while you play.